Kareo Patient Payments provides an end-to-end patient payments solution that yields higher revenue while maintaining a positive relationship with your patients. 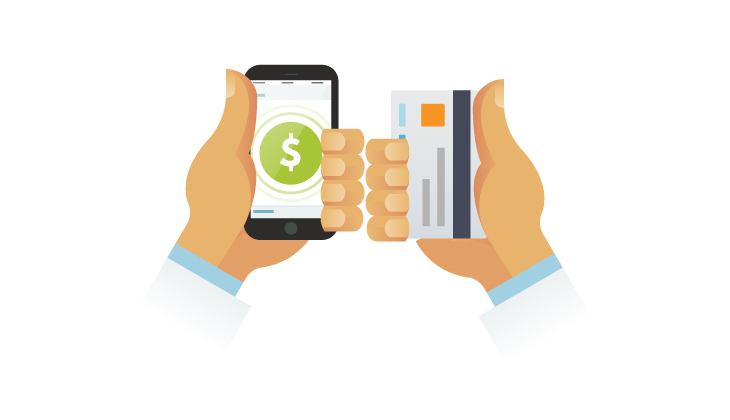 Streamline the patient self-pay process to settle bills quickly and accurately. Insurance eligibility is verified electronically to minimize billing delays and denials. Maximize up-front collections and ensure you aren’t left on the hook for unpaid medical bills. 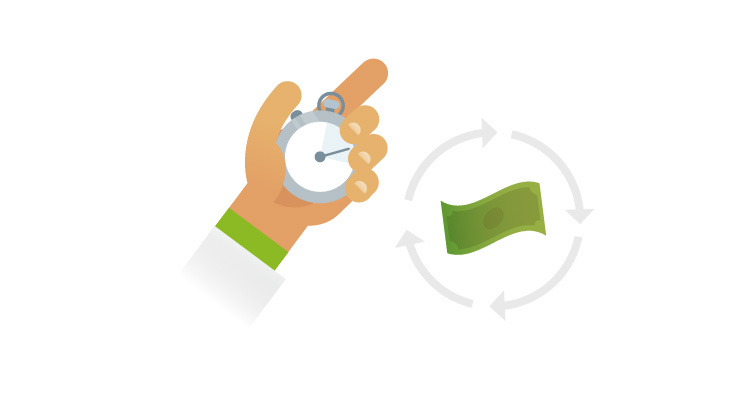 Reduce collection costs by having patients pay on time and in-full. 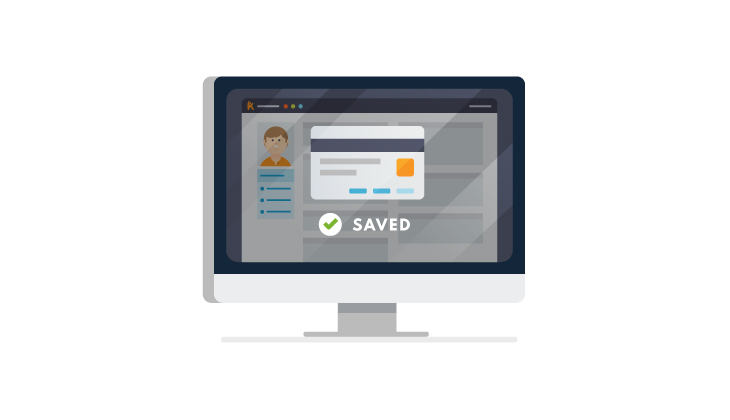 Upload and save credit cards and billing contact information for processing of co-pays, deductibles, co-insurance and to pay any balance owed post insurance claim adjudication. Kareo Patient Payments is an essential part of your patient collections success plan. The single most effective method of collecting patient responsibility is to collect at the time of service. Having an integrated self-pay solution in the front office gives you the ability to do just that. Empowering your front office staff and patients to pay at the time of service will also free up your biller to focus on other important revenue cycle management issues. Optimize your patient collections workflow by taking advantage of the important patient interactions that happen before the patient leaves the office. Then, ensure that continued patient collections success by securing a credit card on file for future patient payment responsibility. Kareo Payments software is integrated with the ID Tech card readers which allow a practice to collect more patient revenue at the point of sale. The robust, cost-efficient, reliable and easy-to-use swiper technology enables medical groups to process patient payments more efficiently, provide enhanced payment flexibility to patients, and improve overall patient billing outcomes. Kareo's integrated Payments solution shortens the revenue cycle by allowing you to Click and Swipe to post a payment and make a transaction immediately. This is important because purchases made when your customer and their payment card are present are less likely to be disputed than a payment made remotely. You can simplify your patient billing workflow by storing credit cards on file and easily capturing patient balances for future visits. 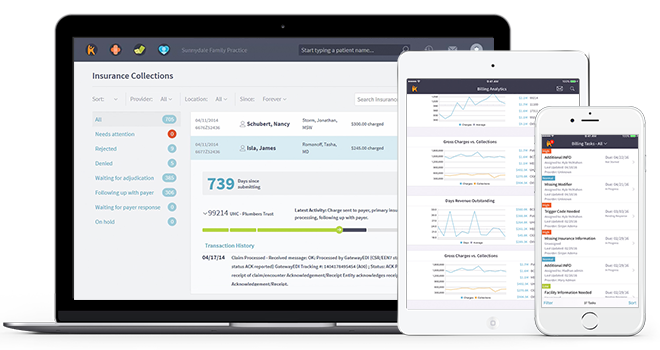 This feature also helps minimize data entry and free up valuable front office staff to focus on filling patient appointments, improving the patient engagement experience and streamlines future patient collections. 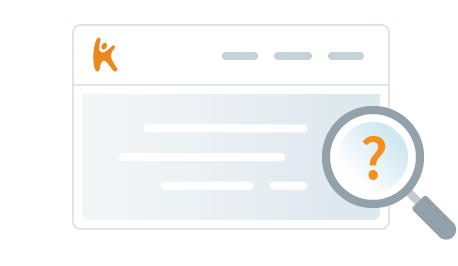 Kareo's transparent payment model allows you to stop guessing what your rate will be for different types of transactions such as debit, credit, premium cards, card-present and card-not-present scenarios. Best of all, you get predictability in terms of what you are paying for this service – no more difference between card-present and card-not-present rates. With Kareo, your transaction rate will be the same each time. No guessing, no unpleasant surprises! When you go with Kareo, you have the peace-of-mind knowing we will never lock you in a long-term contract. Simply use our Payments on a month-to-month basis and if you don't think its a good fit, cancel any time. With Kareo, we make healthcare payments more convenient than ever by providing you the flexibilty to collect payments and remove unnessary complexity. You'll be able to easily take payments in person, over the phone, and online!